The most surprising thing about this belated fifth instalment in the lycans versus vampires action-horror series is the end credits, which revealed – much to my astonishment – that series co-creator Len Wiseman neither wrote or directed this fourth big screen sequel. My surprise was such because Blood Wars is otherwise Underworld by-numbers. Kate Beckinsale strutting and slashing in tight leather? Check. Gloomy midnight-blue colour grade? Check. Chaotic interspecies fight sequences? Check. Clunky, exposition-heavy dialogue? Check and mate. 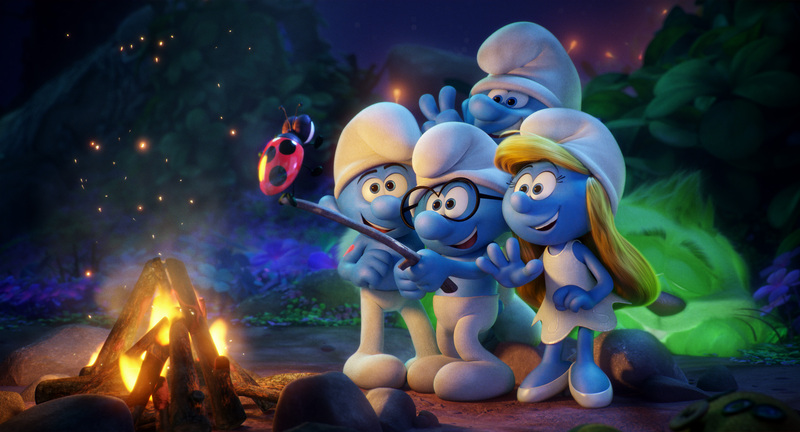 Following two financially-successful but critically-panned hybrid adventures which combined live action humans with CG Smurfs, Sony Pictures’ third modern big screen roll out for Peyo’s iconic miniature blue community is a scaled-back and unrelated reboot which forgoes the live action element for all-out 3D computer animation with a new (voice) cast. In the sub-genre of shark movies, Steven Spielberg set the bar impossibly high in 1978. So high that each successive Jaws sequel was weaker and more ludicrous than the last – and I would know having recently started a franchise re-watch with last year’s blu-ray release (see my reviews of Jaws 2 and Jaws 3-D. The Revenge coming soon). Sure, in the decades since many have tried to match the terrifying highs of the paragon; Deep Blue Sea was dispensable fun, Open Water had naturalistic flair, Sharknado threw out the rulebook, but every time a new pretender to the throne steps up to the shore, your mind instantly compares it to Jaws.